Father of the Bride will be released spring 2019 on Columbia Records. 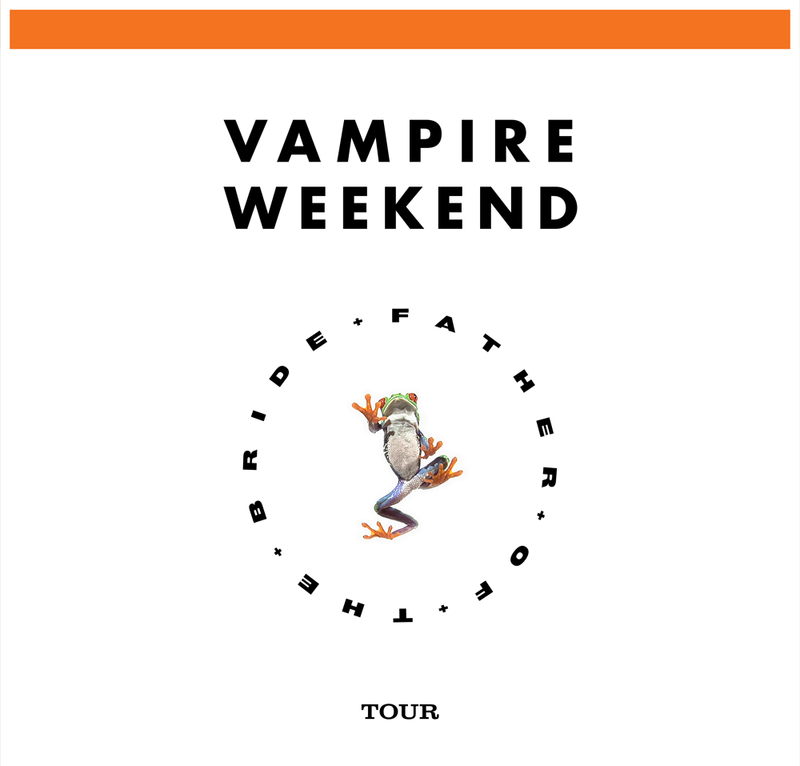 In other news, congratulations are due to Vampire Weekend and XL Recordings on the band's eponymous debut album being certified Platinum by the RIAA for U.S. sales in excess of 1,000,000. Vampire Weekend was released January 29th, 2008 by XL, and debuted at #17 on the Billboard Top 200 charts. In addition to being newly certified Platinum in the U.S., the album has previously been certified Platinum by the BPI in the UK, and Gold by Music Canada and ARIA in Australia. The first band to grace the cover of SPIN magazine before an album was even released, Koenig, Baio, Tomson and former member Rostam Batmanglij met in 2005 at Columbia University in New York City. “Even without an album, Vampire Weekend has made one of the year’s most impressive debuts,” said The New York Times of the band’s earliest recordings. The accolades continued through the album's release, as Vampire Weekend appeared on 2008 Top 10 lists of Time, NPR, Rolling Stone, New York Magazine, Pitchfork and countless others, as well as winning the NME award for “Best New American Indie/Alternative Band." The band also made its first of three appearances on Saturday Night Live, as well as debut performances on The Late Show with David Letterman and Jimmy Kimmel Live!. Since their debut, Vampire Weekend have released two additional albums, both of which debuted at #1 and have been certified Gold in the U.S.: 2010’s GRAMMY-nominated Contra, and 2013’s Modern Vampires of the City, which won that year's GRAMMY for Best Alternative Album.